Classy isn’t the first word that pops into mind when describing the bar scene in South Beach, Miami, but it’s one of the best ways to describe The Regent Cocktail Club. 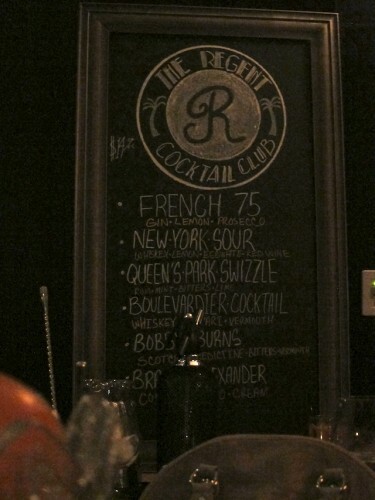 The Regent is not quite a speakeasy, but it does have the feeling of exclusivity of a private club. The bar’s walls are all adorned with dark wood paneling, a big open space is dotted with leather couches and sectionals, and behind the bar is a wide selection of spirits, many of which are behind glass. 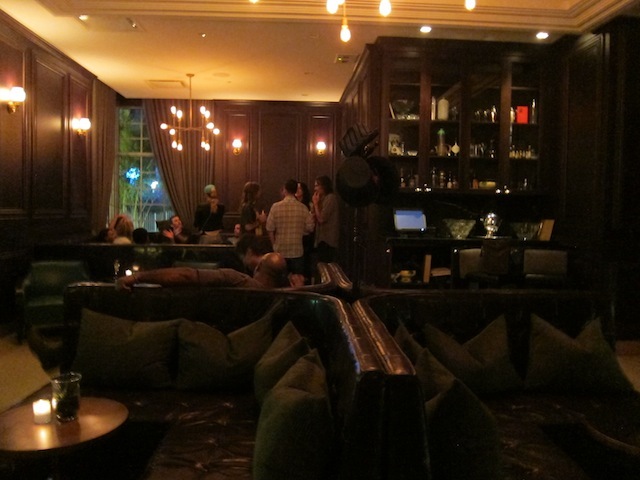 In Miami’s flashy nightlife scene, The Regent is decidedly understated. A small chalkboard list nestled in a corner lists just six cocktails, all classics. One of the most impressive things about the Regent Cocktail Club is the array of unique cocktail glassware and tools, including things that you rarely see in bars. Even when The Regent is busy, the bar staff, including noted bartender Danny Valdez (a heavyweight in the bar world who has trained some of the new bar all-stars including Ricky Gomez), give each individual customer their direct attention. 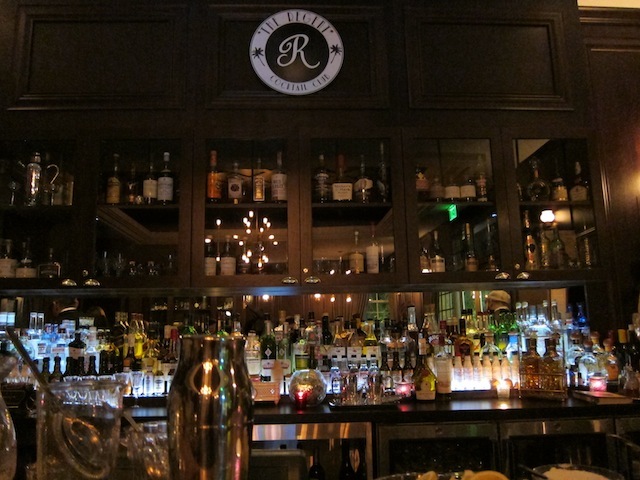 With spirits behind glass and such a discreet cocktail menu, interaction between the customers and bartenders is key at The Regent Cocktail Club. 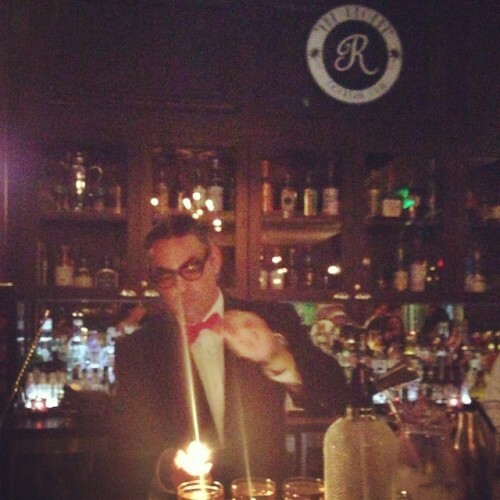 There can be a persistent “douche bag” element to Miami’s cocktail scene and the guys behind the bar at The Regent are extremely adept at dealing with that, delivering an excellent experience even to the most difficult of customer. Aside from a stunning design and excellent bar staff, the drinks at The Regent are superb. 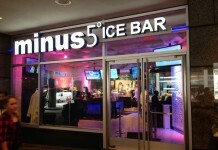 There’s a lot to be said about a bar that can deliver pitch perfect classic drinks, even at the exclusion of original cocktails. The Regent does just that. One of the unique elements in The Regent’s preparation of stirred cocktails is the use of a large antique mixing goblet. Instead of stirring drinks, the drink is swirled in the goblet. 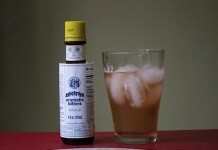 This swirling has the same dramatic element in preparation as a good shake does and adds to the experience. 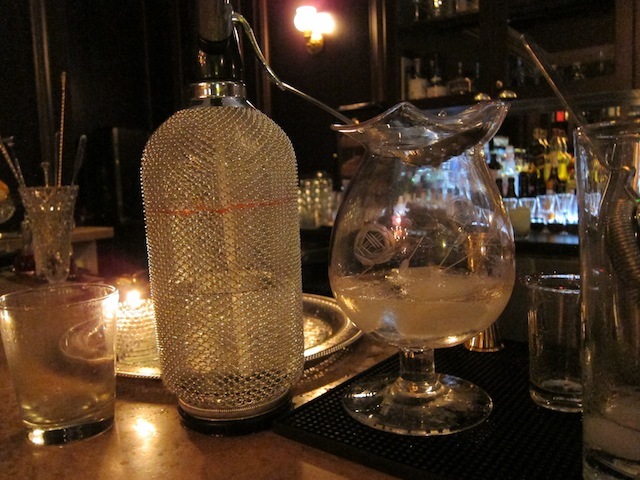 In addition to the use of unique tools, The Regent Cocktail Club uses a wide range of antique glassware to serve their drinks. One of our drinks, the Jamaican Daiquiri, came served in a chilled metal coup glass that provided a vastly different drinking experience from glass. The thing we’re most struck with is how the staff at The Regent Cocktail Club delights at creating and serving great drinks. During our time there we had a New York Sour (whiskey, lemon, egg white, and red wine), Boulevardier Cocktail (whiskey, Campari and sweet vermouth), as well as the aforementioned Jamaican Daiquiri (Smith & Cross Jamaican Rum, lime juice, and demerara simple syrup). Each cocktail was impeccably prepared, perfectly balanced, and completely delicious. The Regent Cocktail Club isn’t something you’d expect out of South Beach, but they’ve done a fantastic job of creating a relevant classic cocktail bar that serves as an oasis from the flash and glamour. 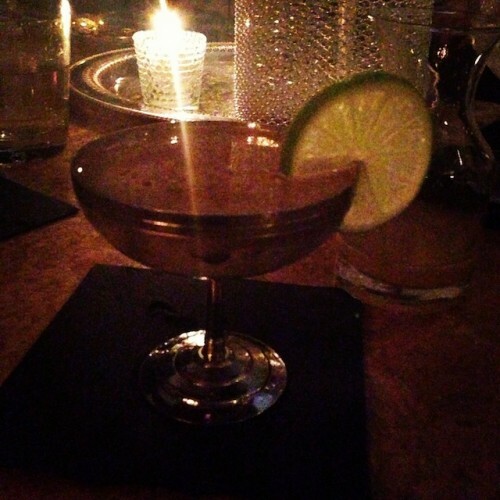 Impeccable drinks, a great vibe, and a world class bar staff – what more could you ask for? The Regent Cocktail Club is an ideal example of how to create balance and deliver a solid classic cocktail experience that can appeal to a diverse audience.